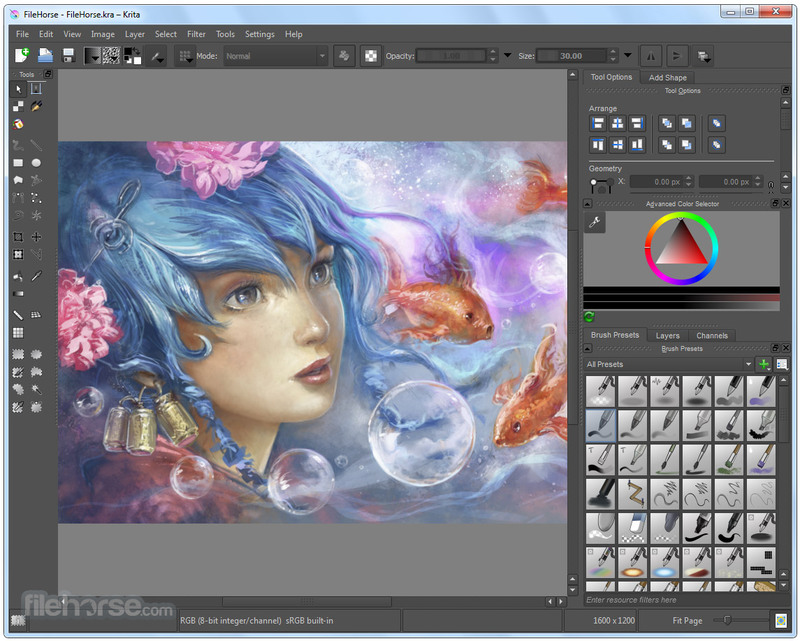 Krita is a FREE digital painting and illustration application. 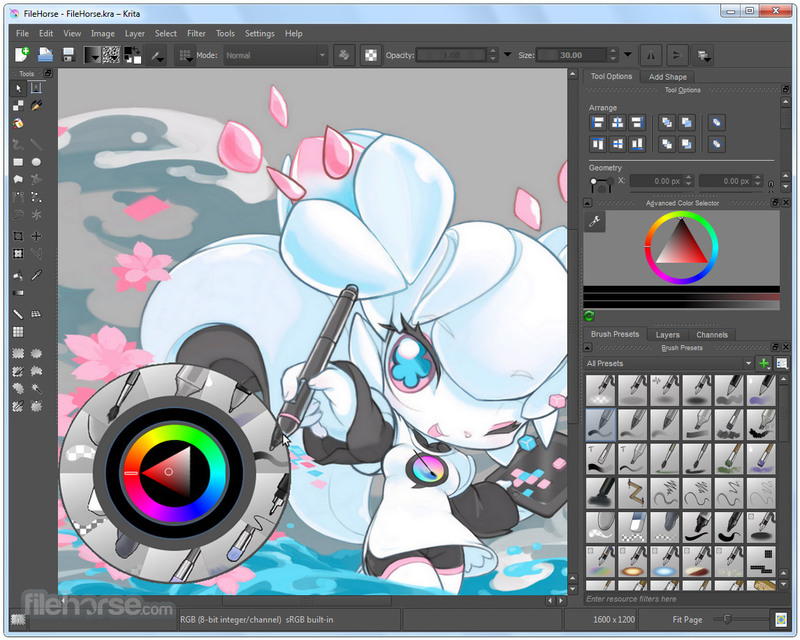 Krita offers CMYK support, HDR painting, perspective grids, dockers, filters, painting assistants, and many other features you would expect. 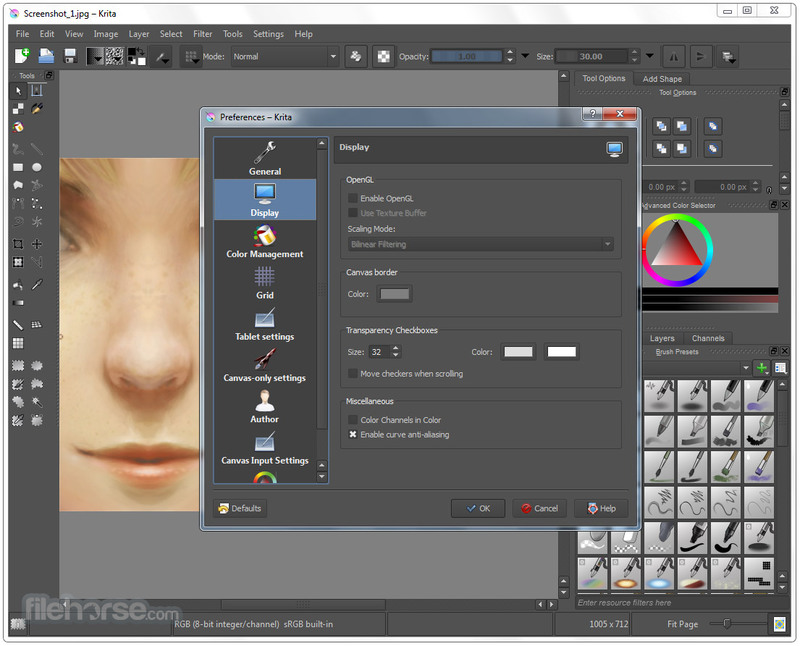 Krita is a FREE sketching and painting program. It was created with the following types of art in mind: concept art, texture or matte painting, illustrations and comics. 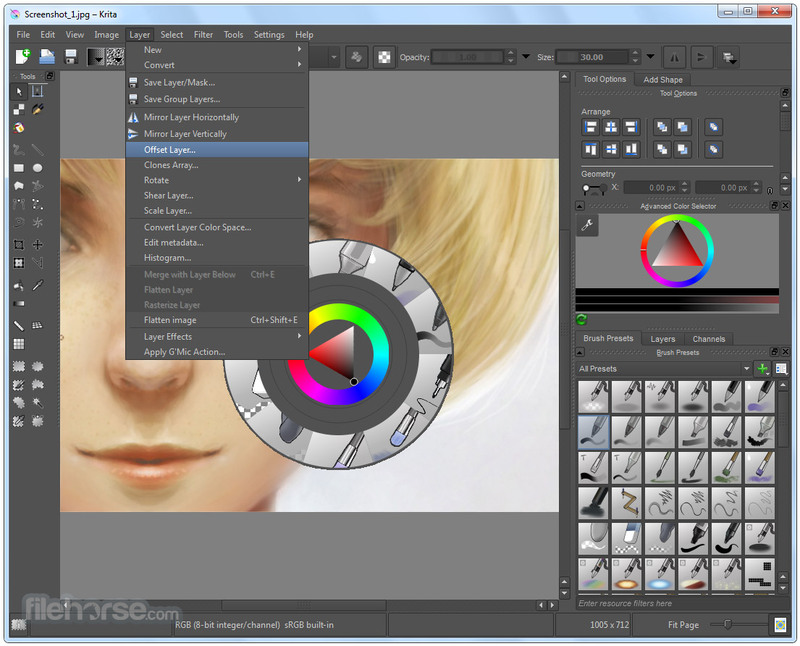 Krita has a user-friendly interface. In the settings menu, you can choose the color theme, which toolbars and dockers you want to use, and edit keyboard shortcuts. Save a given set of dockers as a workspace and switch between them. The canvas can be easily rotated and mirrored. The OpenGL canvas supports high-bit depth monitors. 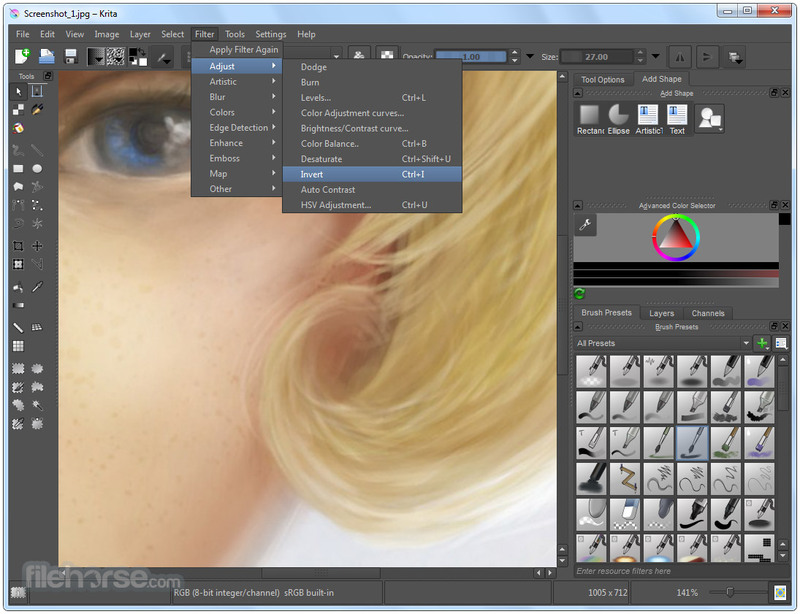 There is a large set of options available to create a no-distractions canvas-only painting mode.